Zola’s final work, Truth, is a truly amazing read in 2015. It is based in part on the Alfred Dreyfus trial, but is also reminiscent of the Beilis blood libel (see: https://en.wikipedia.org/wiki/Menahem…). I found it particularly timely considering the rise of anti-antisemitism in France. I strongly recommend Truth as a MUST READ for those interested in historic fiction that is both factually based as well as dramatically developed. 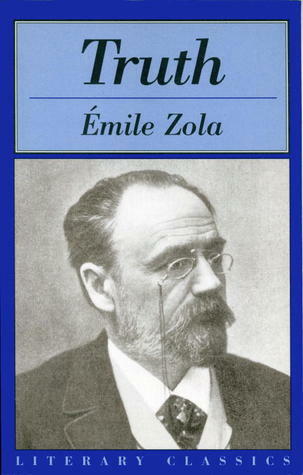 Emile Zola is an author who gave his life for speaking out against the wrongful indictment of Colonel Dreyfus. Although a believing Jew myself, I greatly appreciate the dramatization of the conundrum of church-state education in France and its recurring relevance in today’s world. As both an educator and a patriotic American, I consider Zola’s point concerning the necessity of reiterative anti-bias education in each generation to be spot-on. One cannot assume that lessons learned by many in the latter 20th Century will necessarily live on in future generations without the intentional inclusion of multicultural studies in school curriculum from elementary school onwards. Study of non-revisionist history, philosophy, art and music are all vital pedagogical tools for the promotion of critical thinking and the suspension of judgment in civilized society. I view the tragic and worsening down-spiraling of social and racial tolerance to be at catastrophic proportions. Zola’s depiction of religious clerics and educators as pedophiles (and murderers) strikes a painfully acute chord. How difficult it is to confront this age-old conflict of faith and abuse of power! It is sad, but best dealt with, as his protagonist does, with honesty, integrity and perseverance. I read the novel first in English in order not to miss a single word. I am now reading it in the original French. The novel thankfully ends on a relatively upbeat note. Zola believed then, as I endeavor to today, that humanity is inherently good. I have loved every novel that I have read by Zola and encourage the general reading public to sample his work. This is an excellent title if you have not read any of his other fiction. For a century, Zola’s writing has been appreciated by a wide and discerning public. Most, if not all, of the author’s work has been translated into many languages and is available in a variety of formats. Please–read this and share! Its message is a call to action, but an affirmation for all mankind. This entry was posted in Libraries & Advocacy, Mentoring & Leadership Building and tagged anti-semitism, book review, Emile Zola, French literature, religious education. Bookmark the permalink.